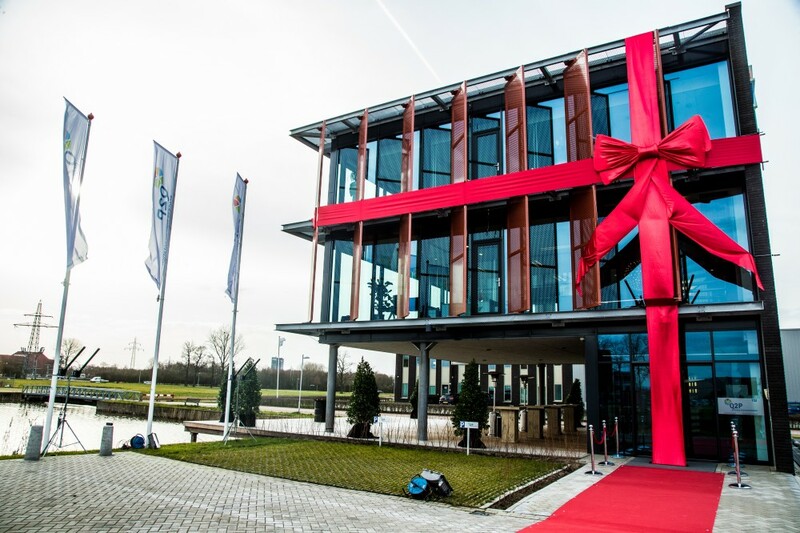 Official Opening | Quality2Process B.V.
Mrs. Monique Göritzlehner, Accountmanager Business Park Westermaat Campus, conducted a ribbon cutting ceremony to celebrate the official Grand Opening of the new Quality2Process building. Over 80 people attended the official opening. Bert Berkemeijer, Sales Director, comments: “All the construction and interior work has been finalized now. We are excited to open this new office, as it resembles the identity and ambition of our company, specialized in high-end process instrumentation for industrial processes. This office expansion comes as a result of significant growth in customers and the need for additional engineers and staff”.